On April 25th, 2015, only a few weeks ago, Nepal was hit by a devastating 7.8-magnitude earthquake that killed more than 8,000 people and left hundreds of thousands homeless. 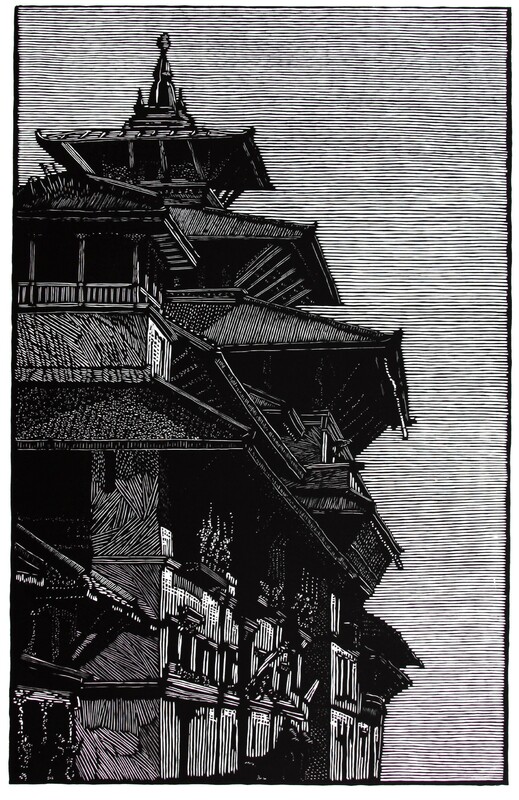 California printmaker and book artist Richard Wagener has published two woodcut editions with Magnolia – Durbar Square, Patan and Kathmandu Alley (both 2011) – depicting scenes from his visits to Nepal. In the wake of the recent tragedy, Wagener and Magnolia Editions will now donate 75% of all sales of these two prints to the nonprofit Direct Relief, currently working in Nepal to provide access to doctors and other much-needed assistance to refugees and survivors of the quake. 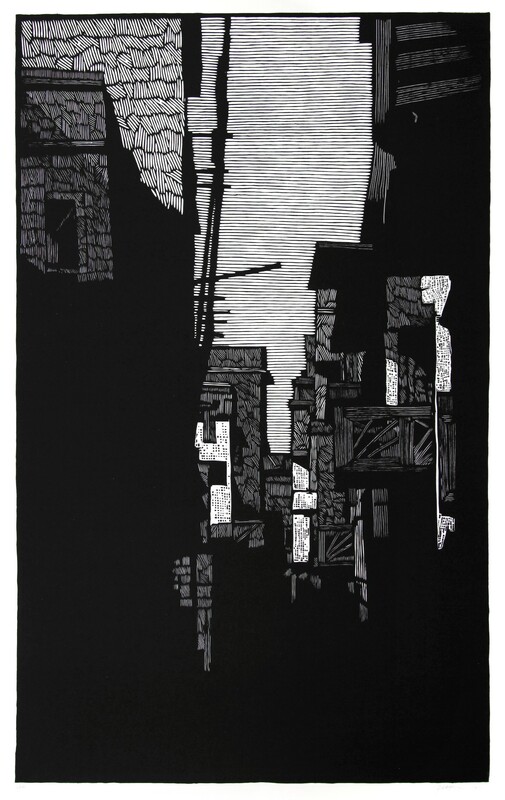 Marked by dramatic passages of rich, deep blacks and Wagener's gently modulating, highly textural line work, these woodcuts draw you in quietly, summoning the meditative atmosphere of areas in Kathmandu which unfortunately may never look the same as when Wagener captured them only a few years before. 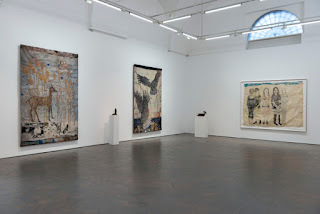 Wagener’s striking large-scale editions were hand printed on a Takach etching press in traditional black relief ink; the surfaces of the plywood block matrices were incised by a combination of computer-guided laser etching and hand carving by the artist. For pricing and availability, please contact Magnolia Editions today – and thank you for helping us to support the people of Nepal!